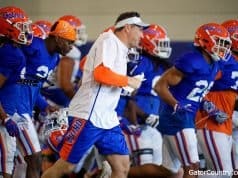 On Saturday, the Florida Gators hosted a mixture of out of state prospects and several instate prospects for the spring game in the Swamp. Receiver Marc Britt (6-2, 190, Miami, FL. Miami Christian School) was one of those guys in Gainesville and he enjoyed his visit. 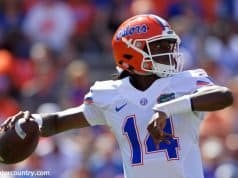 Britt paid close attention to the Gators offense on Saturday and he liked the play of the receivers during the game. 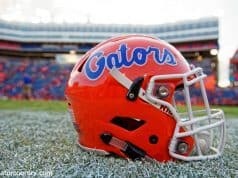 Receivers coach Billy Gonzales also spoke with Britt for a while on Saturday about needing the receiver in Gainesville. Next up for Britt is official visits and he knows of two visits coming up and he also knows of another team that will get an official visit. 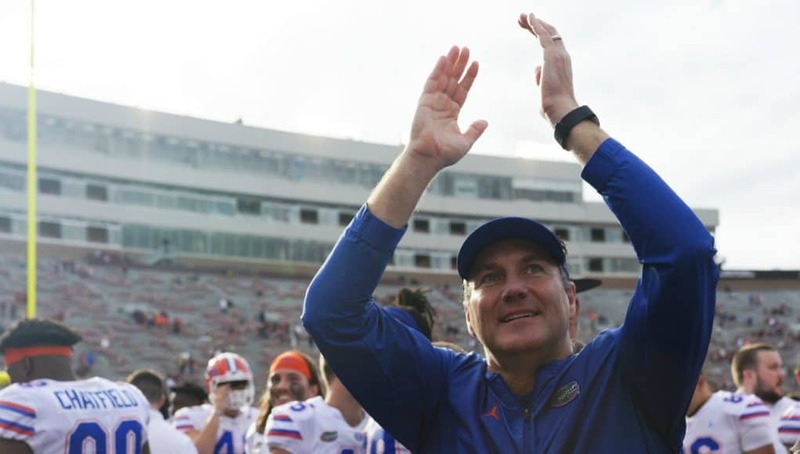 The Gators are one of five teams that Britt says is recruiting him hard and he says one thing stands about Florida’s recruiting efforts of him so far.